Why is wine red? Why are some wines very expensive? Why can it be hard to choose a wine? Why does wine rarely smell of grapes? Why do some wines feel “rough” on the palate? We have all asked one or more of these questions at some time, as wine is a fantastic crossroads for the senses, for history, for geography, for science and for gastronomic culture. Why is wine red? 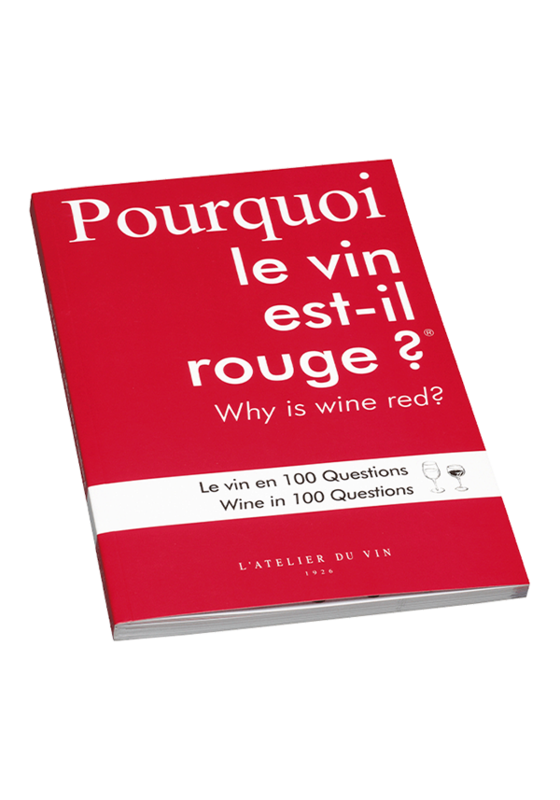 is to be used as a sort of small encyclopedia on wine, in which one can select a subject according to one’s needs or inclinations. The more you know about wine, the greater will be your pleasure when tasting it, not to mention the enjoyment to be had from sharing your knowledge with friends and family. Full text in English included. 136 pages. French-English version.